Who invented Microsoft? The name of the person credited with inventing Microsoft is Bill Gates (1955 - Present) who co-founded the Microsoft company, originally named Micro-Soft, with Paul Allen on April 4, 1975. Bill Gates is not only famous as the American founder of Microsoft but also as a philanthropist, author, entrepreneur and businessman. Definition of Microsoft: Microsoft is defined as an American Multinational Computer Technology corporation that focuses on the development of services and the implementation of software, such as Windows, used on computers and on the World Wide Web. Fact 1: Who invented Microsoft? 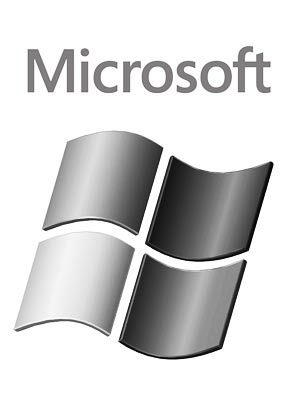 Microsoft was founded by Bill Gates and Paul Allen in 1975 during the Technology and Information Age of inventions. Fact 2: Who invented Microsoft? Prior to the establishment of Microsoft in 1975, it was an exciting time for innovations in relation to computers and technology. In 1958 Robert Noyce and Jack Kilby had invented the computer chip in 1958 and the first Internet, called ARPANET, was developed in 1969 and Ray Tomlinson invented Email. Fact 3: Who invented Microsoft? The greatest advancement of all was between 1974-1977 when the first personal computers revolutionized the way the world worked and brought computers into our daily lives. Fact 4: Who invented Microsoft? The advent of first portable computer the Altair 8800 in 1974 and the personal computer, developed by Steve Jobs and Steve Wozniak in 1976, changed the lives of Bill Gates and his childhood friend Paul Allen. Fact 5: Who invented Microsoft? Bill Gates, was born on October 28, 1955 and Paul Allen was born January 21, 1953. Both were raised in in Seattle, Washington in the United States. Bill Gates met Paul Allen when they were both students at Lakeside School. Fact 6: Who invented Microsoft? Bill Gates and Paul Allen shared a passion for computers and new technology and began their path to success when they learnt how to program a computer using BASIC (Beginner's All-Purpose Symbolic Instruction Code). Fact 7: Who invented Microsoft? Bill Gates and Paul Allen were members of the Lakeside Programmers Group and as a project built a small, relatively inexpensive computer with a microprocessor as its central processing unit (CPU) based on an Intel 8008 chip. The system was designed to read vehicle traffic counters and create reports for traffic engineers who worked for the Washington state highway department. Fact 8: Who invented Microsoft? They called their traffic processing services Traf-O-Data and it gave 16 year old Bill Gates and 18 year old Paul Allen invaluable experience in opening a company and for their future establishment of Microsoft. Fact 9: Who invented Microsoft? The older Paul Allen graduated before Bill Gates and enrolled at Washington State University. Bill Gates went on to study at Harvard University. Paul Allen dropped out of Washington State University and went on to work as a programmer for Honeywell International Inc in Boston. Fact 10: Who invented Microsoft? The first portable computer, the Altair 8800, was released by MITS (Micro Instrumentation and Telemetry Systems) in late 1974 and Paul Allen and Bill Gates realized that this tiny spark would revolutionize the newly emerging microcomputer industry. Paul Allen convinced Bill Gates to drop out of Harvard in order to capitalize on the window of opportunity that had opened up in the computing industry. Fact 11: Who invented Microsoft? At this moment in time computers were still very much in their infancy. It would be another 15 years before Tim Berners-Lee would invent the World Wide Web in 1991 and another 7 years before Larry Page and Sergey Brin would invent the Google search engine in 1998. Fact 12: Who invented Microsoft? Paul Allen and Bill Gates were convinced that they could improve the performance of the Altair 8800 by developing an implementation of the programming language BASIC interpreter for the Altair 8800 system. Fact 13: Who invented Microsoft? The pair worked feverishly to complete the first microcomputer Basic. They demonstrated their system, which had taken just 8 weeks to develop, to MITS and won a contract with the company and relocated to to Albuquerque, New Mexico where MITS was based. Fact 14: Who invented Microsoft? The two friends were fearless and full of enthusiasm and on April 4, 1975 Bill Gates and Paul Allen formed a partnership and opened a company they originally called Micro-Soft (the name was changed to Microsoft a few months later). Paul Allen was just 22 years old and Bill Gates was two years younger. Fact 15: Who invented Microsoft? Microsoft BASIC became the foundation product of the Microsoft company and the basis for a lucrative software licensing business. Different variants of Microsoft BASIC were sold to emerging companies including the Commodore Amiga BASIC and the Applesoft BASIC that was supplied with the Apple II series of personal computers (Steve Jobs and Steve Wozniak had founded Apple Inc. in April 1, 1976). By 1978 year end sales exceeded $1 million. Fact 16: Who invented Microsoft? In 1979 Microsoft moved from Albuquerque to Bellevue, Washington where the company focussed on the development of the MS-DOS 1.0. Microsoft's 16-bit operating system was introduced in the IBM personal computer. This lucrative contract with IBM was the turning point in the history of Microsoft that led to wealth and success for Paul Allen and Bill Gates. Fact 17: Who invented Microsoft? Microsoft was formed into a legal corporation in 1981 as personal computers began to sell in their millions. However at this time users were required to type in commands in order to open a program. Microsoft began work to streamline the process and make it more fun by developing a graphical interface that would allow people to interact using graphical icons and visual indicators instead of text-based interfaces that required boring typed commands or text navigation. Fact 18: Who invented Microsoft? In 1982, Paul Allen became very ill and left Microsoft after being diagnosed with Hodgkin’s lymphoma. He later recovered from the disease and retained a link with Microsoft as senior strategy advisor and still owns a reported 100 million shares in the company. Fact 19: Who invented Microsoft? Bill Gates became the driving force of Microsoft and spearheaded the new graphical interface that was being developed - such an interface required people to use a 'point and click' computer mouse. Fact 20: Who invented Microsoft? Douglas Engelbart had invented the Computer Mouse in 1964 but there was limited use for such a device when people were typing commands - the development of a graphical interface began the whole word clicking and the Computer Mouse rose from relative obscurity to a global phenonomen. Fact 21: Who invented Microsoft? In 1985, Microsoft released their new operating system, called Windows, with a graphical user interface that included icons, drop-down menus, scroll bars and other interesting features. Fact 21: Who invented Microsoft? Windows 2 was released in 1987 which allowed 'windows' to overlap each other with the ability to to minimise or maximise windows. Microsoft Word and Microsoft Excel also made their first appearances running on Windows 2. Fact 21: Who invented Microsoft? Microsoft Word became notable for its use of WYSIWYG or "What You See Is What You Get". Microsoft Office, a bundled set of applications was launched by Bill Gates in 1988 containing Word, Excel and Powerpoint. Fact 21: Who invented Microsoft? Tim Berners-Lee revolutionized computing when he invented the World Wide Web in 1991. The 1990's saw Microsoft introduce the Start menu and its web browser, Internet Explorer, in 1995. Fact 21: Who invented Microsoft? Microsoft went on to launch other applications such as Outlook, Access, Project and Publisher. The company also launched the Xbox video game console in November 2001. Fact 21: Who invented Microsoft? In November 2016 the Microsoft Teams product was launched, a cloud-based team collaboration tool, as part of Office 365.